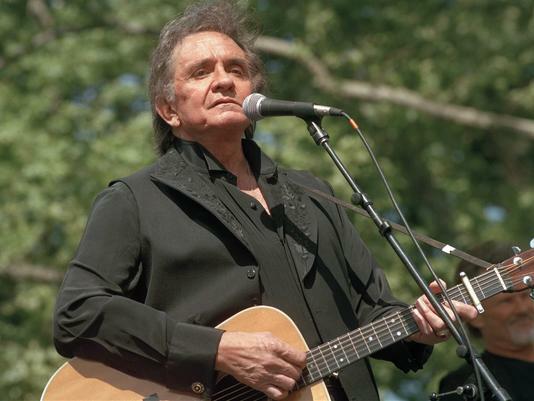 Country music legend Johnny Cash will be celebrated in a new book and music collection commemorating the 10th anniversary of his passing. LIFE and Sony Music Entertainment's Legacy Records will release LIFE Unseen: Johnny Cash – An Illustrated Biography on Aug. 13 (192 pages, $29.95). The book features rare and never-before-seen photos of Cash from the Sony archives including intimate images of Cash during quiet moments. There also are interviews with Cash and his family, including June Carter Cash, and new reminiscences by his children Rosanne Cash and John Carter Cash. "I'd seen a lot of these photographs, but the ones I hadn't seen before were really moving to me," said Rosanne Cash. "They weren't just kind of stock Johnny Cash pictures, but showed some side of him, some depth, that hadn't really been captured before." A new music collection titled LIFE Unheard: Johnny Cash, which features a dozen rare tracks from throughout Cash's storied career, will be released to coincide with the book. It features solo acoustic recordings cut at the House of Cash studio in Hendersonville, Tenn., and live concerts taped at the Newport Folk Festival and the White House. It also includes a previously unreleased studio version of Ben Dewberry's Final Run, and Movin' Up, recorded for Cash's 1981 made-for-TV movie,The Pride of Jesse Hallam. Cash, 71, died Sept. 12, 2003, of complications of diabetes.